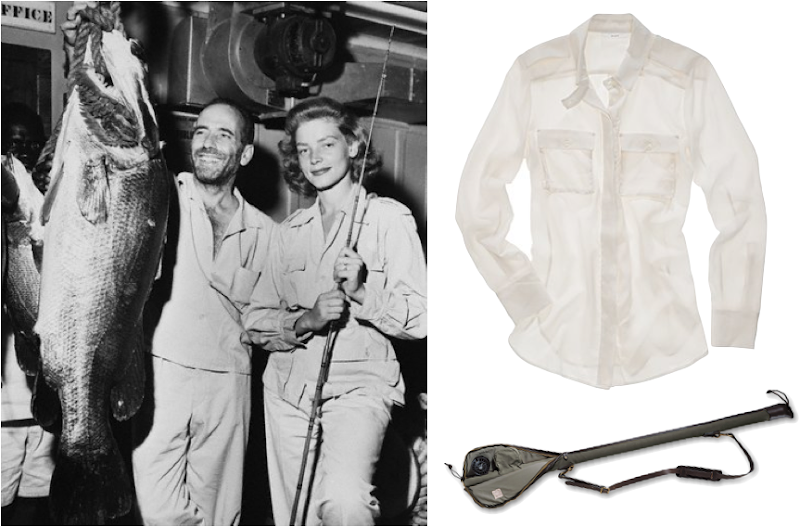 Photo of Humphrey Bogart and Lauren Bacall with Large Perch in Africa, 1951. Silk Cargo shirt ($110); Filson fly rod case ($220). They all look fabulous - even the fish! Great quote. You can just tell by her gaze that she's the one that caught that beast of a fish. HAHA I love it. Go Lauren!